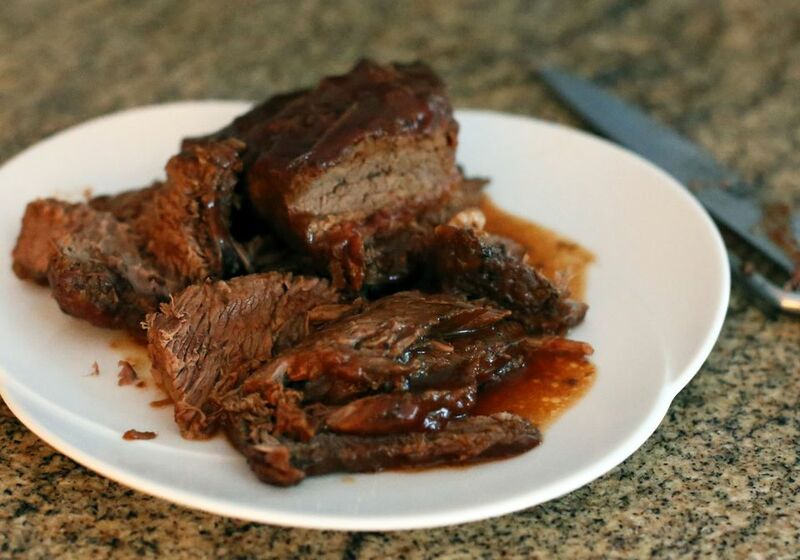 This slow cooker beef brisket is cooked with a variety of vegetables and seasonings. Long, slow braising is an excellent way to cook a beef cut like brisket. This is a pot roast type of dish with potatoes, carrots, and onions. Heat the vegetable oil in a large skillet over medium-high heat. Brown the brisket on all sides. Place the carrots, onion, and potatoes in slow cooker. Sprinkle the tapioca over the vegetables. Add the browned brisket (If brisket is very large, cut it in half). Combine the beer with the remaining ingredients. Pour the mixture over the brisket. Cover and cook on high for 5 to 6 hours or on low for 8 to 10 hours. The tapioca will thicken the liquid to make its own gravy. Remove the bay leaf before serving. If the liquids are watery, pour them into a saucepan and boil for a few minutes to reduce slightly and concentrate the flavors. Add a slurry of 1 tablespoon of cornstarch and 1 tablespoon of cold water if more thickening is desired.